Eustacia - It is intriguing! Thank you for voting. :-) Thank you for stopping by! I am hoping to finish the book tonight. I am enjoying it. 13 years is amazing! Congratulations! It must be really interesting to compare how your style/ interests has changed from then to now. Louise - Thank you. Thirteen years is a small fraction of my life and yet so much has changed. Thank you for stopping by! 13 years is a long time in the blogging world. I think I held giveaways the first couple of years but now I just mention it. Kathy - Yes, it is, isn't it? I'm so old! Haha. Thank you for visiting! I love the sound of the book...and can relate to using Google to find some answers. LOL. I created my first blog (I have six) almost eleven years ago, and I used to have giveaways, etc. Now I barely notice the dates. LOL. Same here. My anniversary tends to just slip by me. I always hesitate when it sounds like the narrator might be unreliable, which the beginning seems to suggest. I hope your questions get answered. Congratulations on the longevity of your blog. Roberta - Thank you! It doesn't feel like it's been that long. I enjoy a good unreliable narrator, but I know not everyone does. This sounds like a good one...and time for me to move the ARC closer to the top of the pile. Enjoy it, and have a great weekend! Catherine - I hope you enjoy it when you read it, Catherine! I hope you have a great weekend too. Thank you for stopping by! I get what you mean when you say your blog is your own little book haven. I feel that way about mine, too. And congrats on blogging so well so long. Nearing 13 years is impressive. Happy reading! Lark - Thank you! I feel like I have found my tribe in the book blogging community. Thank you for visiting! Thanks for stopping by! Have a nice weekend, too! And I agree, blogs are out little haven. Sometimes I'm too lazy to write and keep up but then I consider my blog as my own child and I can't abandon it! Laura - I don't post as often as I used to either, but I still enjoy it. Thank you for stopping by! Lauren - It doesn't seem possible I've been at it that long. Thank you for visiting. Beautiful Bad sounds *really* good. Stephanie - Life does have a way of interfering with blogging, doesn't it? I am glad you are back too! I am enjoying Beautiful Bad. Thank you for stopping by! Donna Marie - My consistency has flagged over the years, but I have accepted I can only do what I can. I do wish I was better at keeping up with comments and visiting other blogs. I am glad we found each other too. :-) Thank you for visiting, Donna Marie. Anne - I'm still not sure about him. I do think Maddie should have listened more to the warning signs where he was concerned. He really needs help. Thank you for stopping by! Congrats on 13 years! I'll be heading for 10 in 2020. Hope you continue to enjoy your new read. Nicki - Thank you! Congratulations on your many years as well. Thank you for visiting! Wow on 13 years!! That is amazing!! CONGRATS!! My anniversary is in July too, but it will only be nine years for me this year. I am glad to hear BEAUTIFUL BAD is good...it is coming up soon. Elizabeth - Thank you! Nine years is amazing too. Congratulations to you as well. Thank you for stopping by! Ashley - Thank you! Beautiful Bad is good so far. I try not to use Google as much for symptoms anymore for that very reason, but sometimes I can't help myself. Thank you for visiting! It's the worst when all you want to do is read but life gets in the way. Sounds like you are enjoying this one. Happy weekend! Congrats on your 13 years! 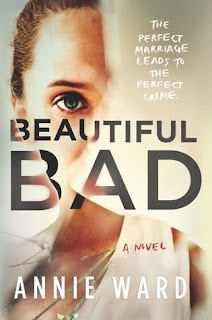 Stephanie Jane - I am enjoying Beautiful Bad. I was hoping to finish it last night--but tonight will have to do. :-) Thank you for stopping by! Well, congrats on amazing 13 years blogging! I've blogged, quite inconsistently, for about 7 years. 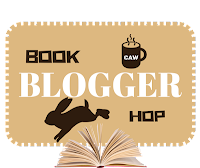 I've seen favorite bloggers come and go, and along the way added so many new authors, genres, subgenres, series, etc. that without blogging I probably would've still be reading just one mystery title a week, that's it. Your book does sound intriguing, and intense. Maybe too intense for me? I'm not sure. I still read some psychological thrillers, but others make me too anxious nowadays. I hope you share your final thoughts on this one so I can better make up my mind. Thanks, Wendy! Rita - Thank you! I have not always been consistent either. That thing called life has a way of interfering, doesn't it? I was just looking at my feed reader and all the blogs that are no longer active that I've followed over the years. I know I should delete them off, but I keep hoping maybe they'll come back. This one would probably make you anxious. I am enjoying it though. Thank you for visiting! I don't know what it is about blogoversaries but they almost always slip by me too. You'd think I'd have the date seared into my brain lol but not so much! I think Beautiful Bad looks awesome! Greg - I remember the date for my blog anniversary right now, but come July, I'll have forgotten before it's past. Then I remember again. Oh well. Thank you for stopping by! Oh this sounds like a good book. I can't wait to hear what you think about it when you are finished. Like you, I used to hold giveaways to celebrate my bloggiversary but time has gotten in the way. This year I'll be celebrating 14 years. It's unbelievable that we've been book blogging for so long right? Like you I love it. I may take a lot more breaks nowadays but it's ok.
Iliana - It is good! I am with you. I do take more breaks nowadays from blogging, and while I used to feel guilty about it, I don't so much anymore. Thank you for visiting!